As one of the most prolific pianists today, Orrin Evans remains constant in his documentation of his growth and musical wisdom. His latest CD, “The Evolution of Oneself” places him in a premier trio context with drummer Kareem Riggins and bassist Christian McBride. The music swings, grooves and floats but always with a pulse. This album further captivates with a few surprises. Evans’ youngest son produces a very captivating three-part interlude, “Genesis,” that is broken up over the course of the CD, while the surprising appearance of the Americana tune, “Wildwood Flower,” and Grover Washington Jr.’s, “A Secret Place” further demonstrates Evans’ ability to consistently shine through among the diversity of material and influences. 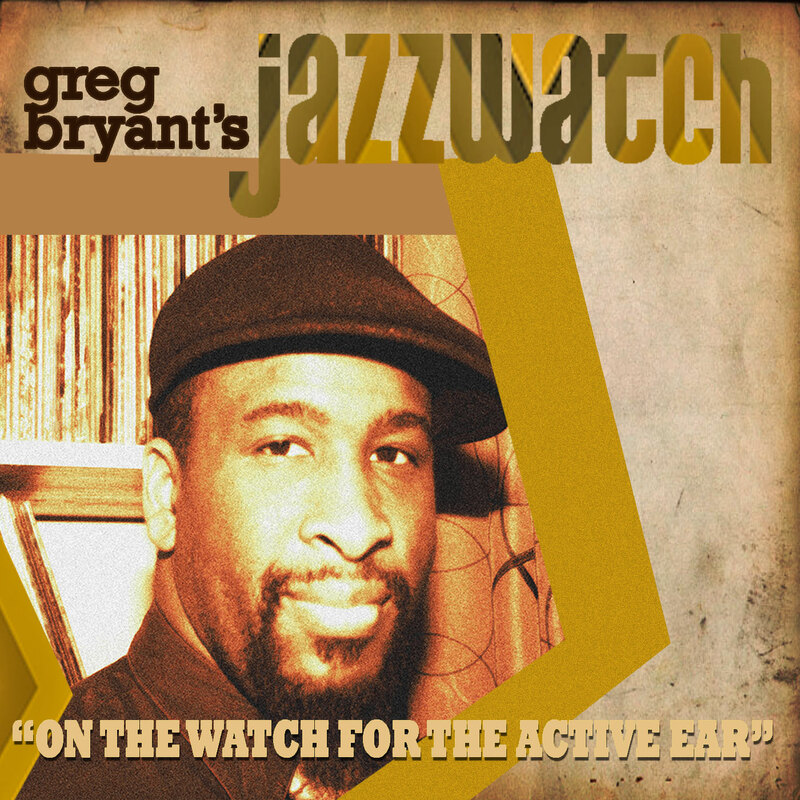 Thanks for joining us for the 50th episode of Jazzwatch! We celebrate the legacy of legendary composer and bassist, Jaco Pastorius, who is the subject of the new documentary, “Jaco: The Film”. Producer and Metallica bassist Robert Trujillo spoke with us about Jaco’s impact on him and the nearly six year journey to complete the first-ever documentary on Pastorius. More information on theater screenings and the video on demand release of the film is available at jacothefilm.com. You will also hear feature clips from my 2008 interview with the late Ingrid Pastorius along with rare performance clips of Pastorius during solo spots with Weather Report and his Word of Mouth Ensemble and Big Band. Composer, bandleader, saxophonist and NEA Jazz Master Benny Golson has established a legacy built on the pursuit of excellence. That excellence has also contributed to the legacy and careers of peers such as Art Farmer, Art Blakey & Lee Morgan while raising the bar among improvisers and composers for all generations that followed. His reputation as a true gentleman is equally renowned. Mr. Golson is a leading clinician and his current group featuring the rhythm section of drummer Carl Allen, bassist Buster Williams and pianist Mike LeDonne is a leading ensemble churning out the truest swing. You wont find a more honest and pleasant soul as Mr. Golson, and it was a treasure to have a conversation with him for Jazzwatch. If you have not seen him in concert, please do so, and be on the lookout for a new CD from Mr. Golson in 2016. Pianist Harold Mabern is one of the true treasures of improvisational music. Born in Memphis, Tennessee and self taught as a pianist, he and his peers (George Coleman, Frank Strozier, Booker Little) developed rapidly. As he discusses in our chat, Mr. Mabern’s move to the city of Chicago after high school graduation further enhanced his pedigree. As the pianist for the MJT +3, his harmonic and rhythmic ideas were the ideal compliment to Walter Perkins and Bob Cranshaw. In this interview, Mabern speaks about these beginnings and his move to New York where he has remained a first call pianist for the last 50 years holding the piano chair with fellow luminaries such as Wes Montgomery, Miles Davis, J.J. Johnson, Lee Morgan, Freddie Hubbard and George Coleman. He began recording as a leader for Prestige Records in 1968, and his newest recording, “Afro Blue,” on the Smoke Sessions Label pairs his group with all-star vocalists Gregory Porter, Alexis Cole, Kurt Elling, Norah Jones and Jane Monheit. This CD promises to be a unique addition to his body of work and will help to further introduce him to a greater addition of listeners. Play on, Mr. Mabern! Intro: On this our third episode, we speak with saxophonist and composer Logan Richardson.